Powerful Ald. 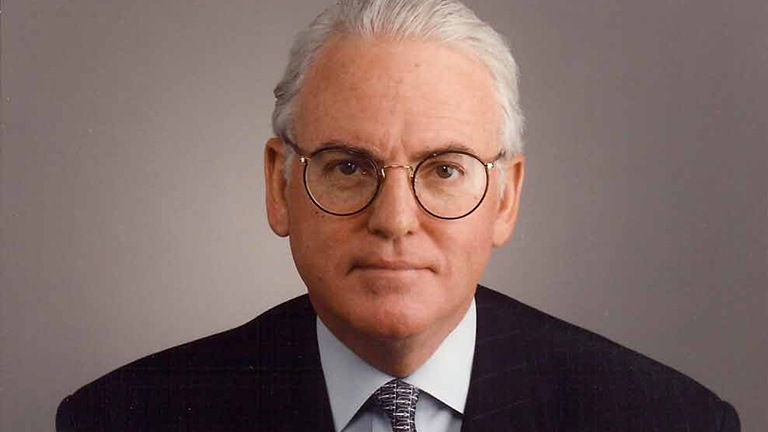 Ed Burke (14th Ward) is facing more heat in his role as chairman of the City Council's Finance Committee, which operates Chicago's $100 million city workers' compensation program. Whistle-blowers this week filed a complaint with the city's inspector general alleging the program, which pays disability to injured city workers, is fraught with patronage and political hiring. But can Inspector General Joe Ferguson actually investigate it? Ferguson had no comment on whether they’d have that authority. A recent ordinance gives him the authority, starting next month, to expand his reach to investigate possible misconduct by aldermen – but stops short of being able to investigate committees they control – like Burke’s Finance Committee. Nonetheless, a complaint filed by former city workers, including one who is the son of the late, longtime Alderman Berny Stone, is asking the inspector general to look into the city’s $100 million workers’ compensation system run by Burke. It alleges that the whole system is fraught with political favoritism. Burke is ultimately in charge: he makes the hires, he ultimately signs off on the claims. He’s been very close to the vest on the program; no aldermen we spoke with even know exactly how it’s run. The director of the program is a legislative aide named Monica Somerville, but they’ve hired consulting companies like Coventry Health Care to administer a lot of the program – there are no records of contracts awarded to this company. We spoke with one employee, a plumber in the city’s water department, who has been injured since 2013 but says the Finance Committee cut off his disability pay last month without any process for appeal. He says he believes the system is built to benefit city workers who are politically connected, and leave others who are not out in the dark. McDonough was also the worker who blew the whistle years ago on the city’s hired truck scandal that sent numerous public officials to jail and stained the administration of then-Mayor Richard M. Daley. McDonough says he sustained his injury in a forklift accident and says he believes Chairman Burke personally wants him out of a job. He says he was offered a settlement of a year’s pay to leave. We tried to contact Burke and various officials in the Finance Committee numerous times, to no avail. Stone’s contention that the inspector general has the authority to investigate the workers’ compensation system is a long shot at best. He says the program violates the Shakman Decree which limits the amount of political hiring that can go on in the city. Attorney Michael Shakman himself told the Chicago Sun-Times that he believes workers’ comp employees should be non-political hires, and that he made a mistake in exempting them in a deal he negotiated with the city to get out from federal hiring oversight. He, along with the complainants and some aldermen, believe the program should be taken out of Burke’s hands and the legislative branch altogether and be recast in a non-political role in the executive branch of government. Ald. John Arena (45th Ward) filed an ordinance to have hearings to discuss such a move. Arena and others note that Chicago is the only major city that runs the workers comp system like this – others run it out of their law departments or human resources departments. Burke fought very hard behind the scenes to pass an ordinance that would prevent Inspector General Ferguson from having the ability to audit programs like this. We’re told by several aldermen there was horse trading offered until the last minute. He narrowly won by two votes. Feb. 11: Efforts to pass a stronger plan making the City Council more accountable were sidelined yesterday. Aldermen tells us what happened behind the scenes. Jan. 11: Who is going to make sure Chicago aldermen play by the rules? A major step forward Monday in determining the answer to that – a sign that City Council could finally be ready for real reform and transparency. But will powerful forces derail this latest effort?